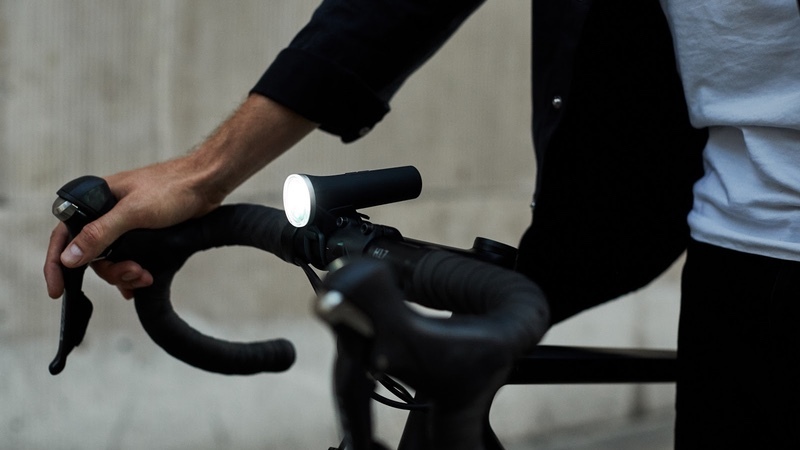 The Laserlight Core, the latest addition to Beryl’s urban light range, has now raised over £107,064 on Kickstarter, exceeding the original £38,333 (US$50,000) crowdfunding target. The Kickstarter campaign, which ended on 6th November received support from 1,403 backers. According to Beryl (formerly Blaze), the backers will receive their products in time for Christmas. The Laserlight Core is the flagship product from British urban cycling brand, Beryl. Designed to be ‘the world’s safest bike light’, Laserlight Core helps to tackle the issue of cyclist visibility in vehicle blind spots, projecting an image of a cyclist 6m in front of the rider. The first generation of the Laserlight was initially launched via the Kickstarter community in 2013. The light was created to tackle one of the biggest problems for city cyclists: being caught in the blind spot. By 2016 the Laserlight technology was incorporated into all of London’s Santander Cycles bike share scheme bikes as well as on a selection of New York’s Citi Bikes. The Laserlight Core has Beryl’s patented laser projection technology, combining a white light and a laser image to beam out of blind spots, junctions and situations where riders might be otherwise unseen. Cased in a durable Carbon Grey polymer, the Core is designed to be lightweight for the city commuter. An independently-funded report by the Transport Research Lab indicated that the Laserlight Core reduces blind spots of other vehicles by up to 97%, increasing rider visibility to vehicles by up to 32%. The laser feature is complemented by a white light with up to 400 lumens brightness to provide further visibility on the road and it attaches to the front handlebars with a tool-free silicone bracket. The product is battery-powered with micro-USB charging. The fully waterproof design has up to 41 hours battery life and the Day Flash mode helps to make sure riders can be seen clearly, even during the day. Units will be shipped to the Kickstarter backers before Christmas and Laserlight Core will go on sale to the public in December 2018.